This is a fantastic observation – plus the dog is indeed adorable! If you can’t see the post for whatever reason, it says: To the people that say women get raped due to the way they are dressed. This is my dog. 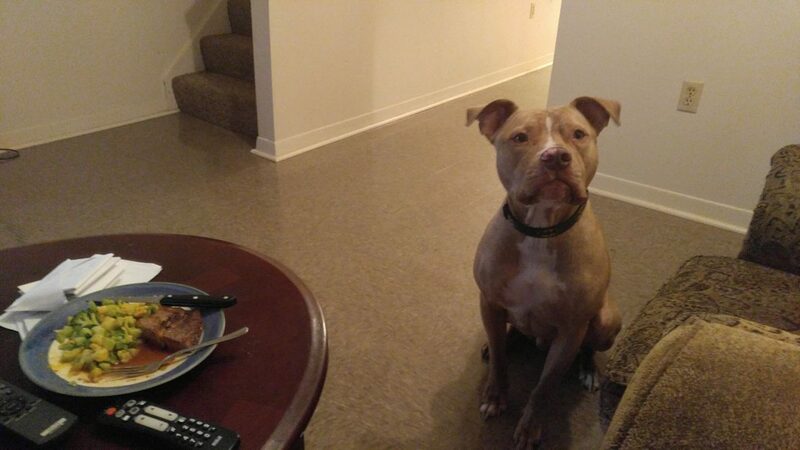 His favourite food is steak. He is eye level with my plate. He won’t get any closer because I told him no. If a dog is better behaved than you are, you need to reevaluate your life. Feel free to share, my dog is adorable. I love this analogy – if we can teach actual animals to rise above their base instincts… why do excuse humans when they don’t?